Seasonal messaging is a staple sales tactic of the travel and tourism industry. Each season presents an alluring message of escapism that can easily be leveraged into travel content marketing. In winter, it’s all about jetting off to warmer climates. Summer is the perfect time to take a family vacation. Even spring and fall offer the promise of a great getaway experience, thanks to all the low fares available on travel. Like clockwork, seasons provide a jumping-off point for travel marketing. The truth, however, is that many seasonal ads are misguided. People don’t often need seasonal advertisements to coax them into vacationing during a particular time of year. Chances are, they’ve already made up their mind about when they want to travel or where they want to go. So, what’s the point of seasonal tourism content marketing if not to sell a specific destination? The true secret of travel blogging and travel agent marketing is to upsell a destination. The search data doesn’t lie: vacationers vastly prefer content that tells them more about what they can expect to experience during their seasonal excursions. This trend points to the idea that many travelers have already made up their minds to go somewhere. They are more interested in making the most of their vacation. They’re looking for information about what to do, see, eat or visit while they’re there. And, they’re turning more frequently to tourism content marketing to tell them. With websites like Priceline, Hotels.com, Kayak and a thousand others to help novices plan their vacation, the model of who and what a travel agent is has changed. Sure, travel agents can still get a great deal or exclusive package for their customers, but it’s not always enough. If history tells us anything, it’s that you cannot win against the internet when you’re competing on price alone. Tourism content marketing needs to shift. If your agency is to meet seasonal quotas for booked customers or sales revenue, it will need to be a knowledge authority that trumps internet companies and amateur travel bloggers. You need to attract customers on your knowledge of a destination and the unique insights you can offer to them. What should they see and what’s the significance of a site? Where should they eat when they want to spend $, $$ or $$$? What cultural mores or courtesies should they be aware of? Offering useful information on these topics will get your readers excited about their choice of destination, making them more amiable to working with you instead of planning their vacations through other means. Your showcase of authority is an asset—not just a convenience. It’s not just exotic destinations like Prague that benefit from this tactic. Vacationers to Nashville, Tennessee, or Portland, Oregon, want the same thing: information that will make their visit to their chosen destination worthwhile. Knowing how to harness travel content marketing properly for seasonal travel opportunities comes down to understanding your audience. Someone spending thousands on a vacation halfway around the world is likely to be more vested in learning everything they can about their destination. Likewise, someone traveling to the next state over for a day or two probably just wants the essentials. Speaking to potential customers as a travel agent means being able to convey destination information properly. Client #1 likely wants a series of insightful articles about the destination, complete with profiles of local sites, eateries and colloquialisms. Client #2 probably wants a top 10 list of sights and restaurants. Both approaches are valuable when you use them correctly. 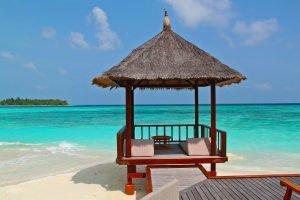 Seasonal vacation content marketing is still a beneficial tactic for driving tourism and travel throughout the year, but it needs to be considered for what it is. It’s an opportunity for travel agents to show their value beyond price and illustrate their expertise as a worldly individual—a guide for others who want to truly immerse themselves in their vacation destination. This season, don’t focus on selling a destination. Instead, tell the story of that destination through strong tourism content marketing.